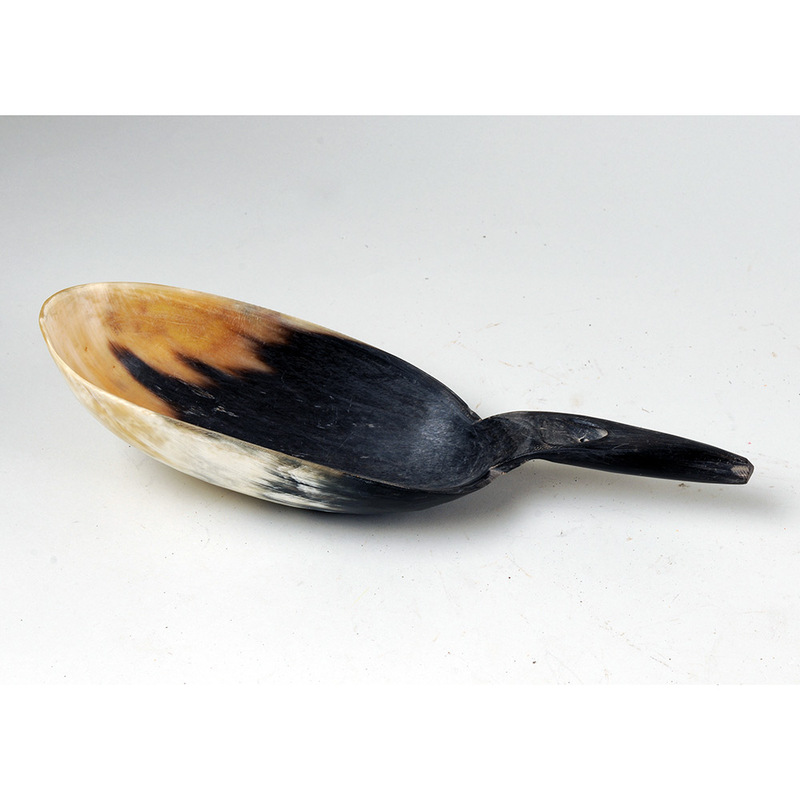 A heated sheet of horn could be molded into shapes, such as this scoop, that it would retain as it cooled. When cool, it was polished with oils. This versatile tool made of thick black, yellow, and white cattle horn has a pierced handle to thread a strap.